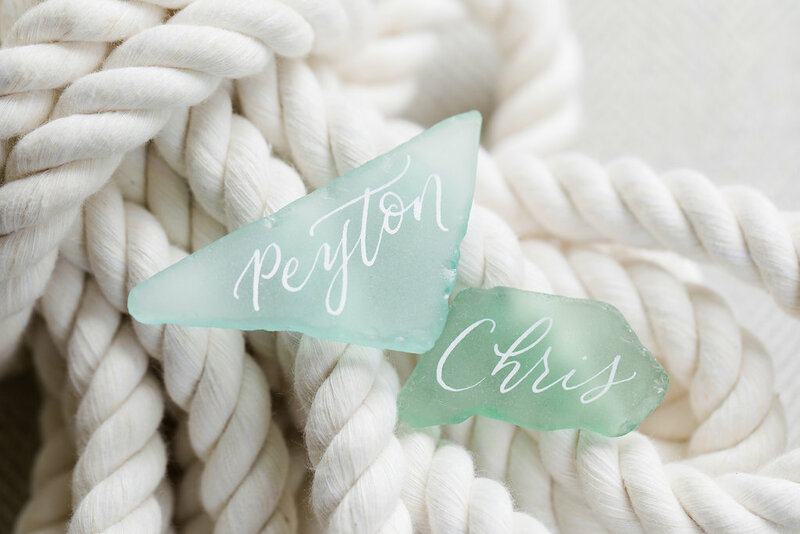 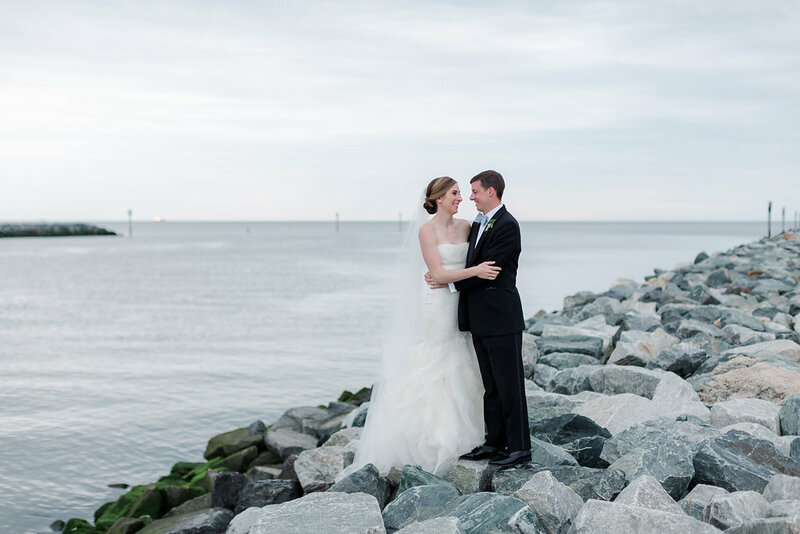 Chris and Peyton were married in the brides home town in a nautical chic wedding full of personalized touches and classic decor. 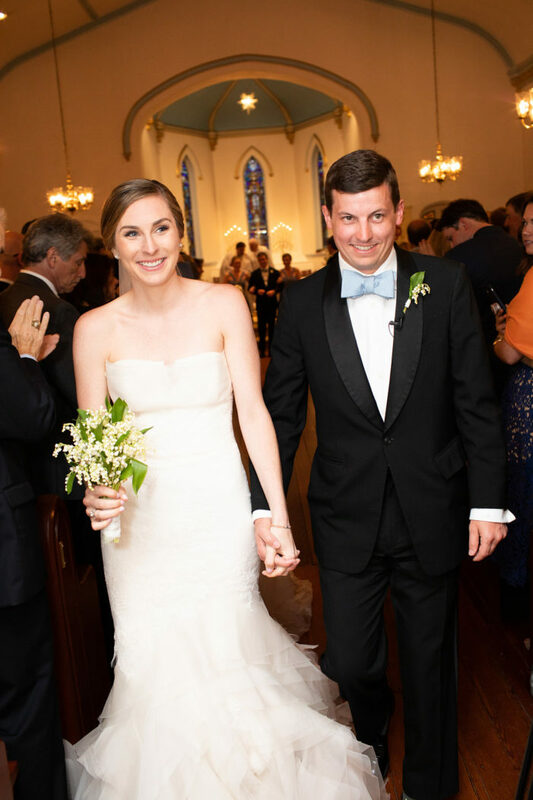 When the pair first started dating, they would escape DC to go to the brides parent’s house for long weekends and spend time at the beach or sitting on the front porch relaxing. 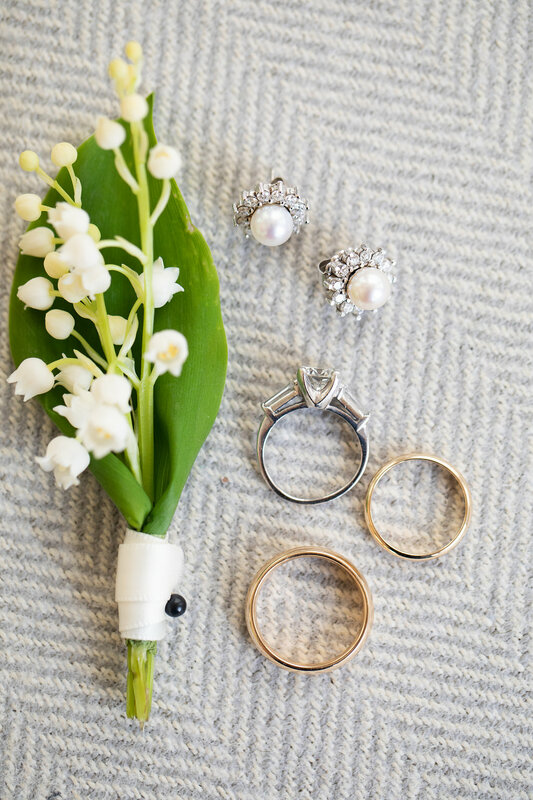 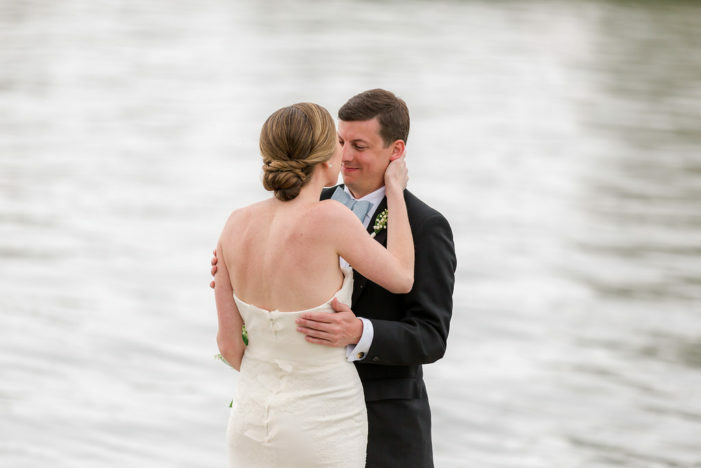 They both knew Lewes was the perfect spot for to get married and wanted to share the charm with family and friends. 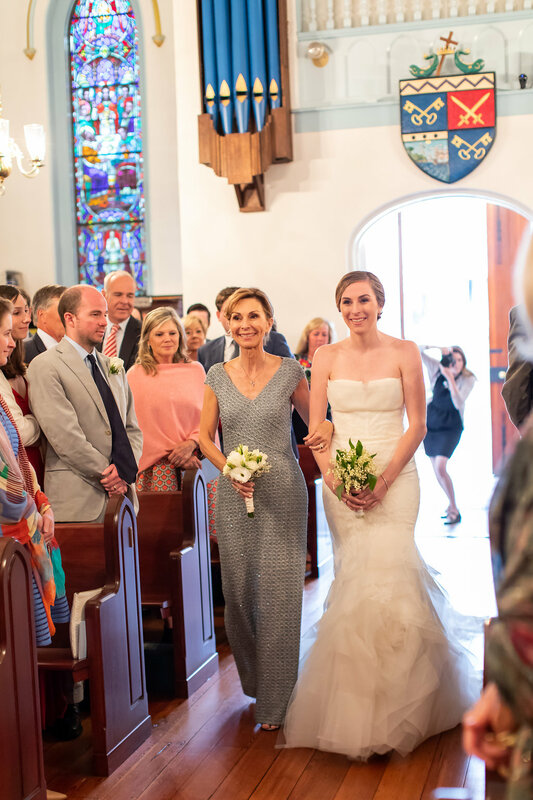 Our favorite detail of the day was when they were married by the same Priest that married Payton’s parents 38 years ago, as well as both of her older sisters. 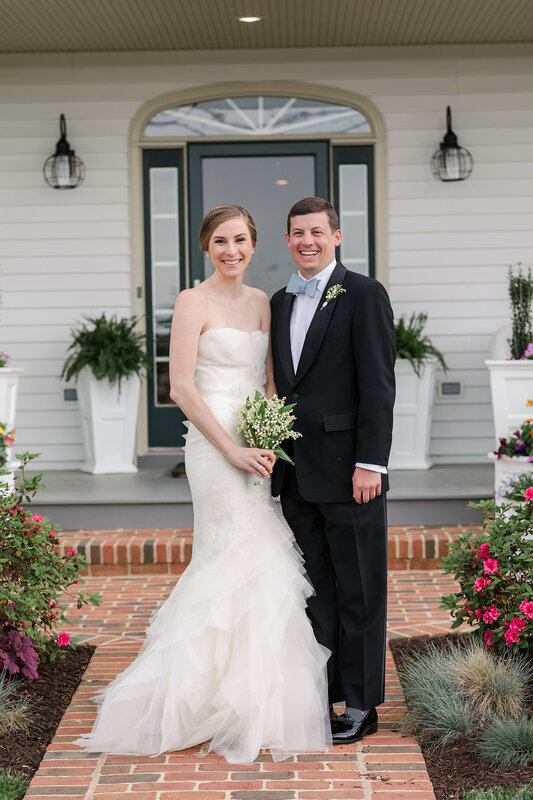 The bride kept family together by getting ready and having the first look at her parent’s house! 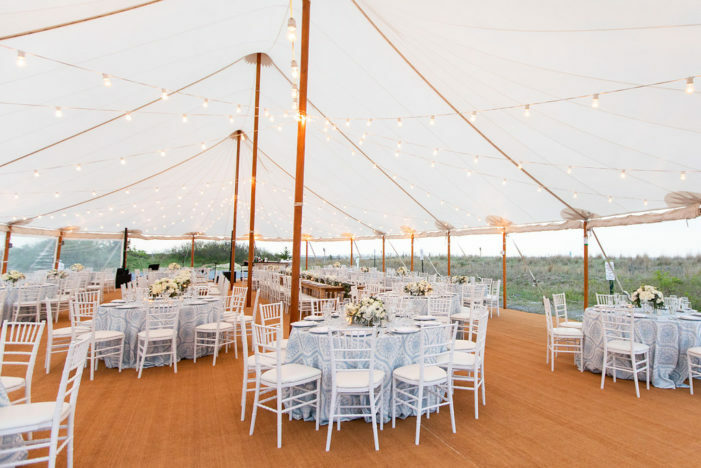 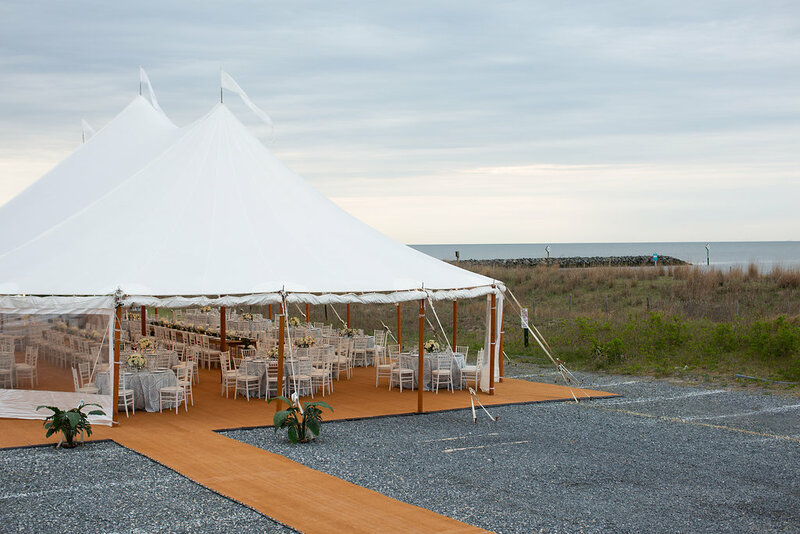 The Lewes Delaware wedding reception continued to a tented dinner overlooking the water. 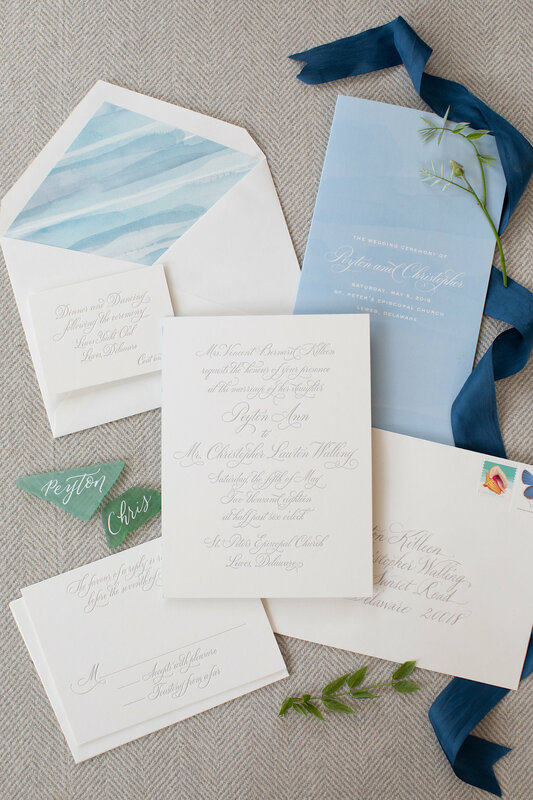 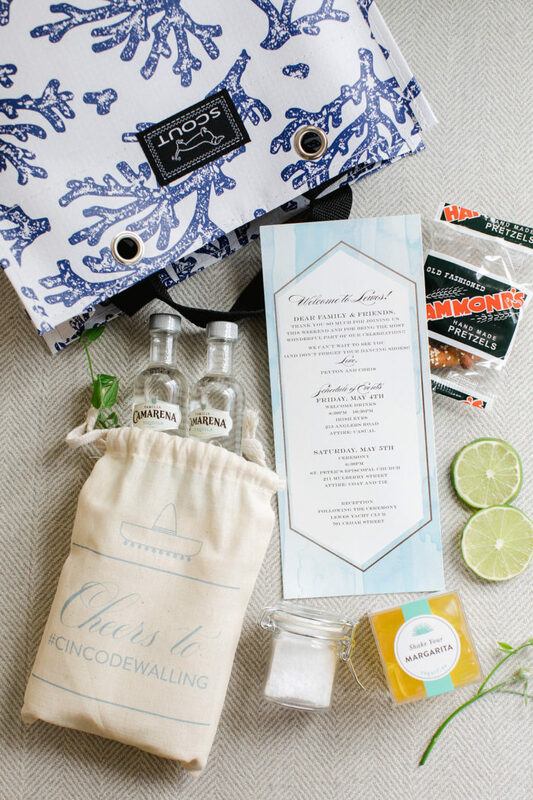 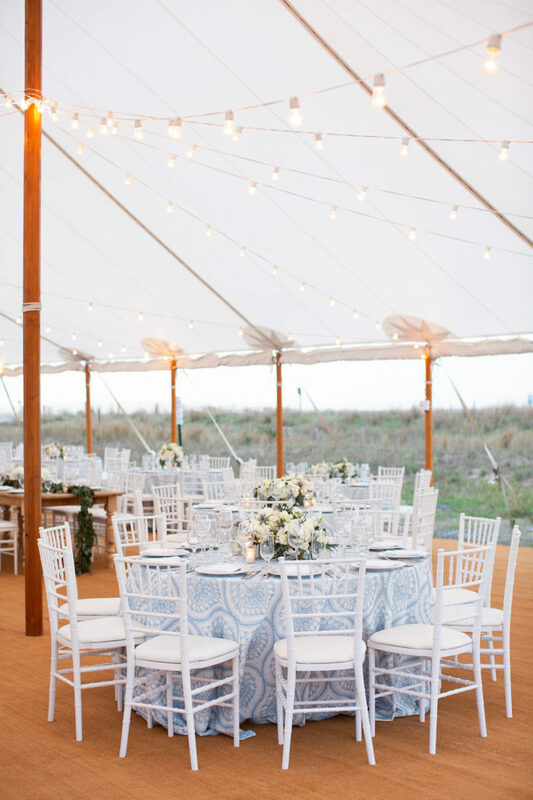 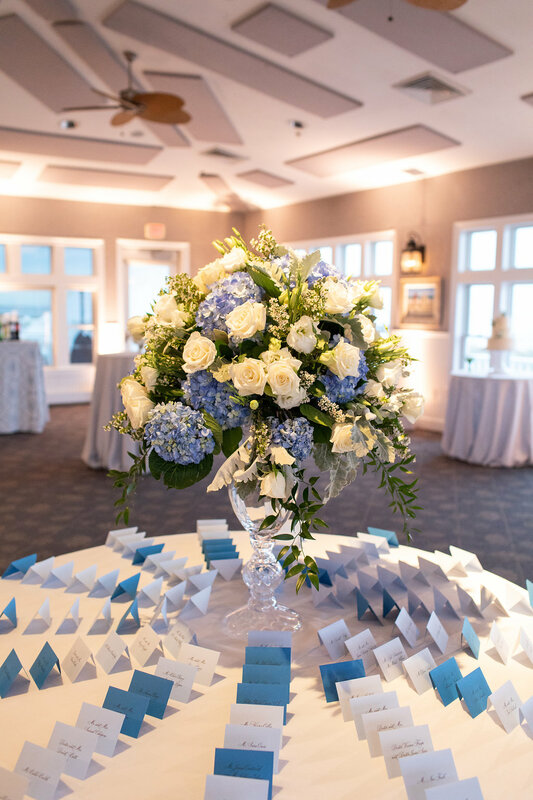 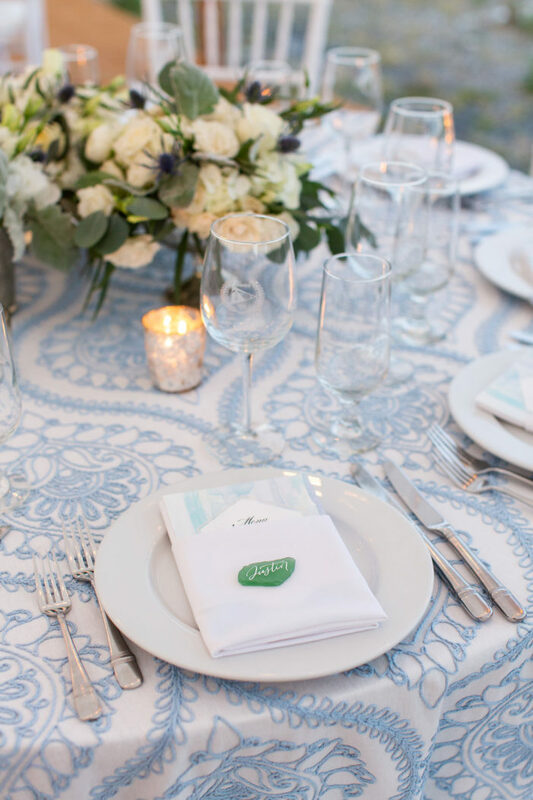 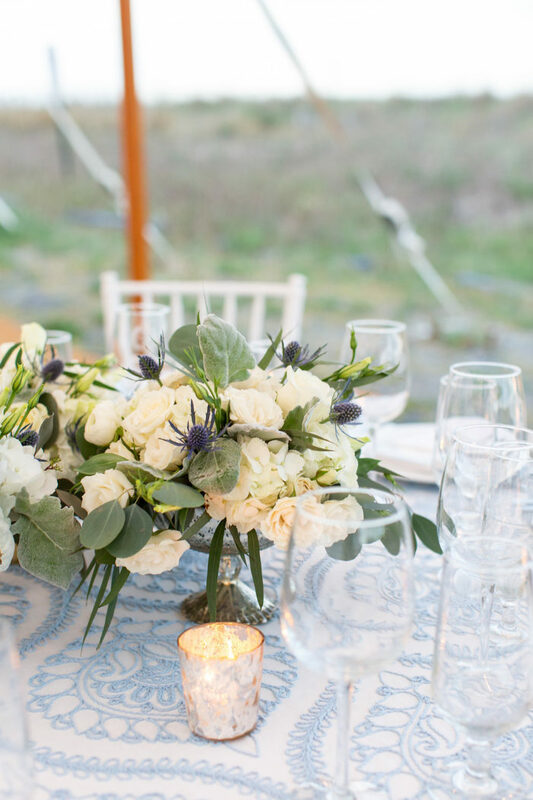 We loved the mix of blue wedding reception linens and classic white centerpiece florals for the nautical chic look! 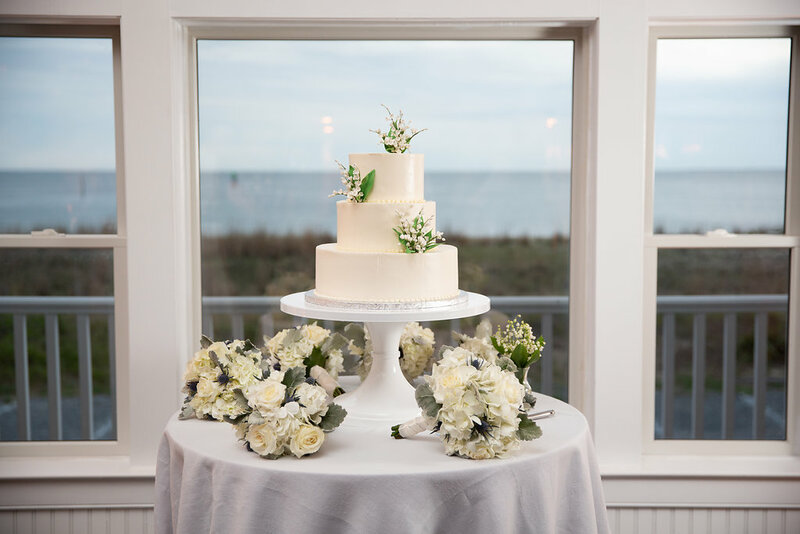 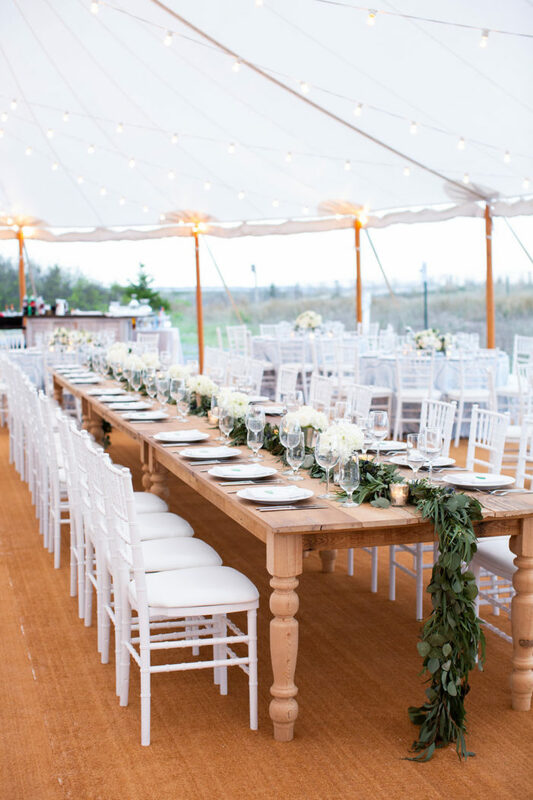 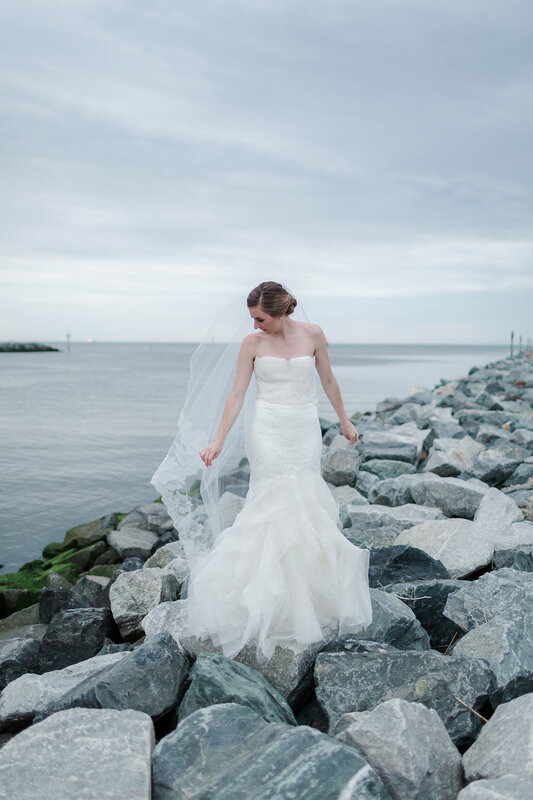 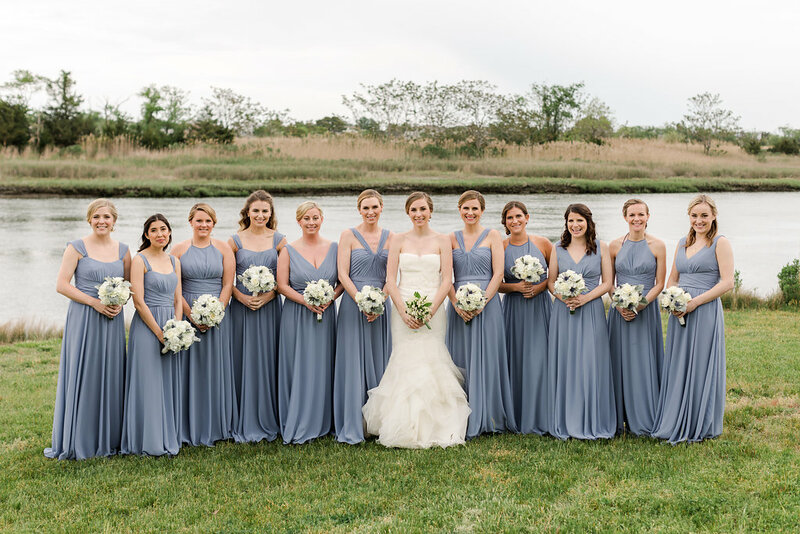 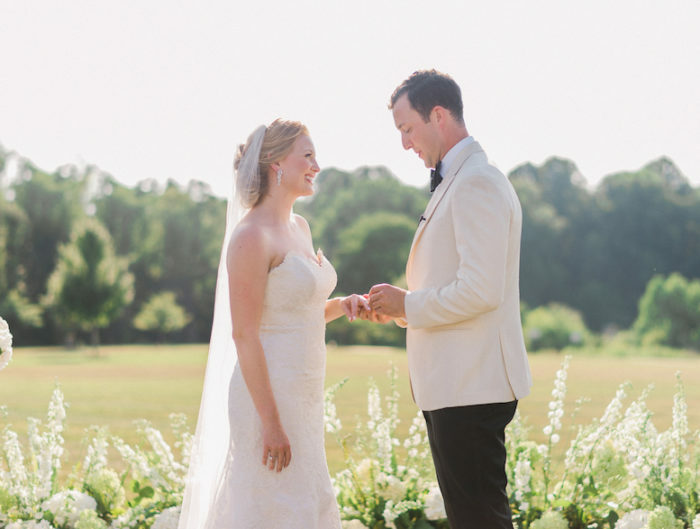 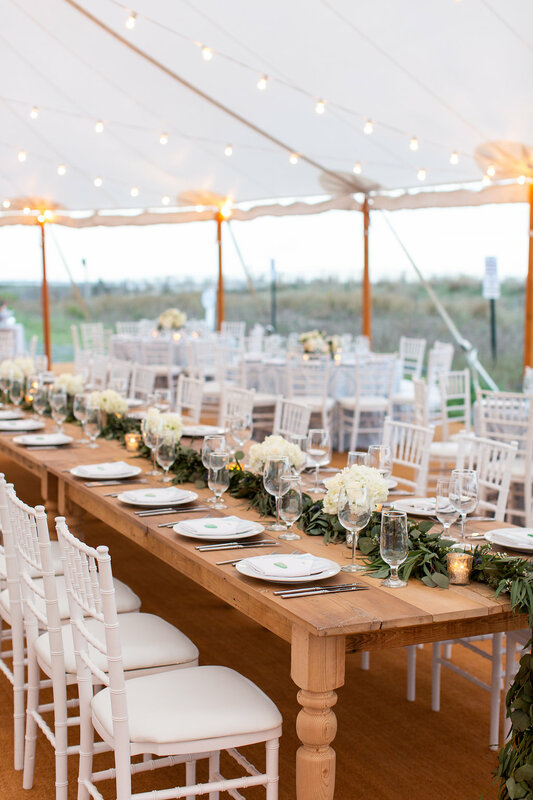 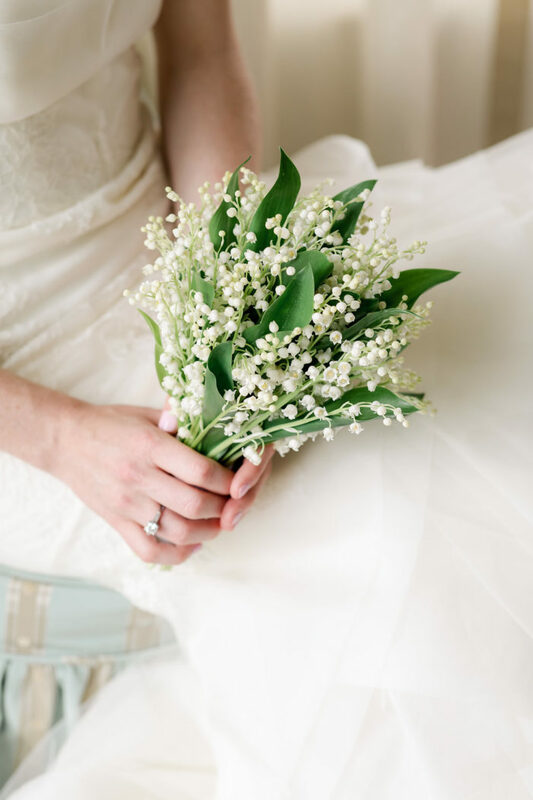 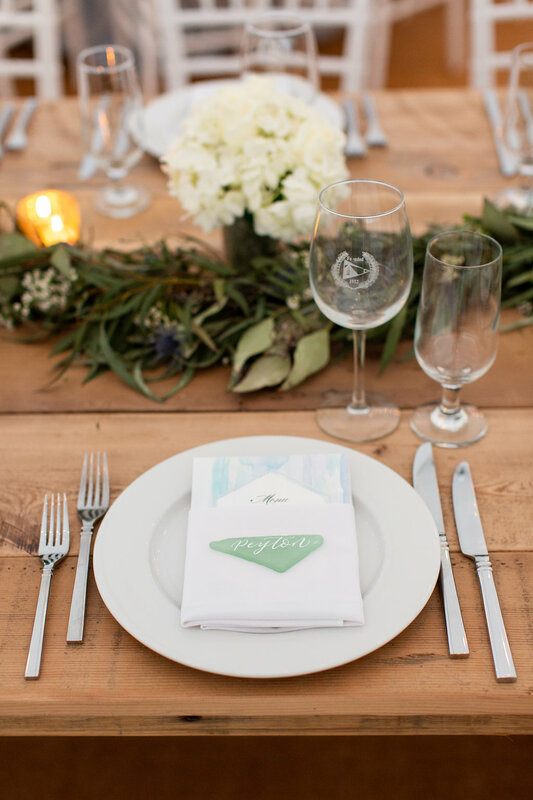 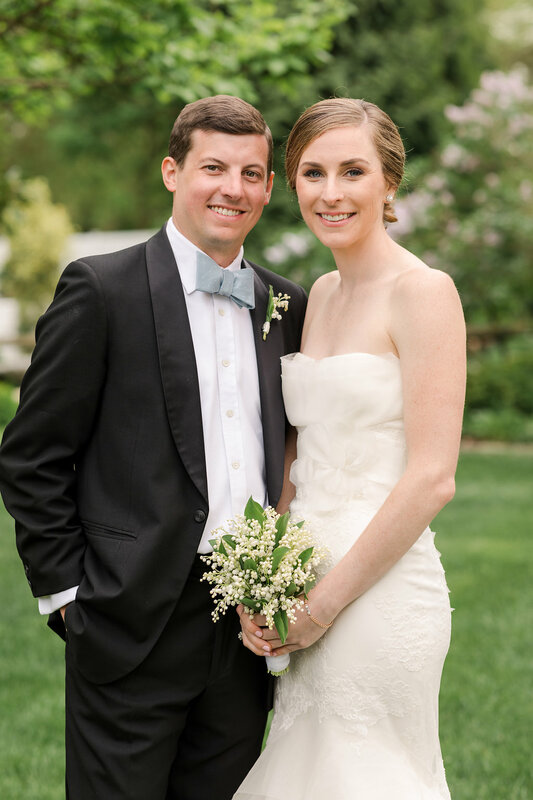 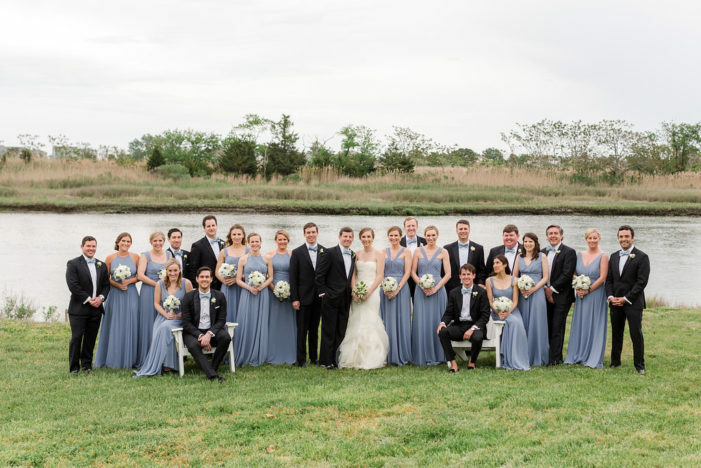 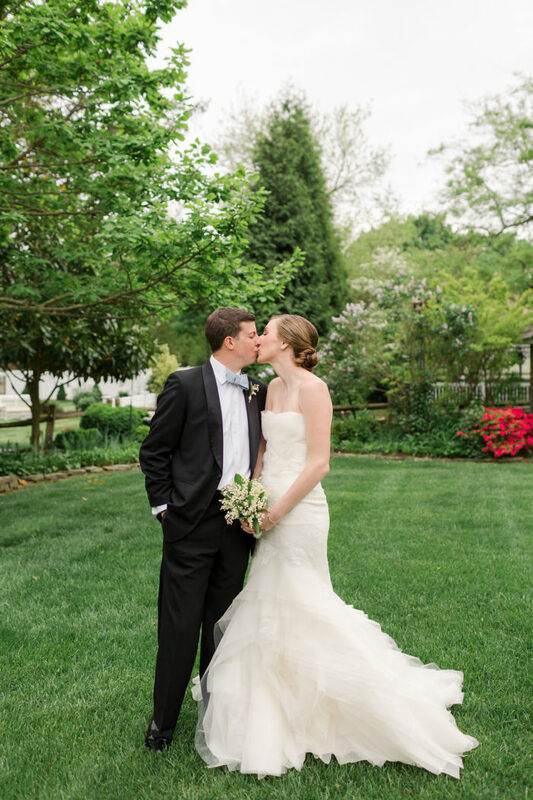 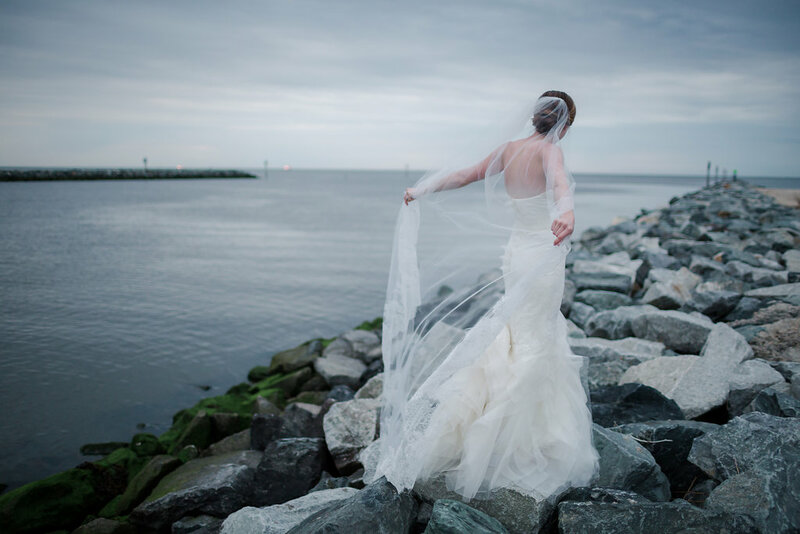 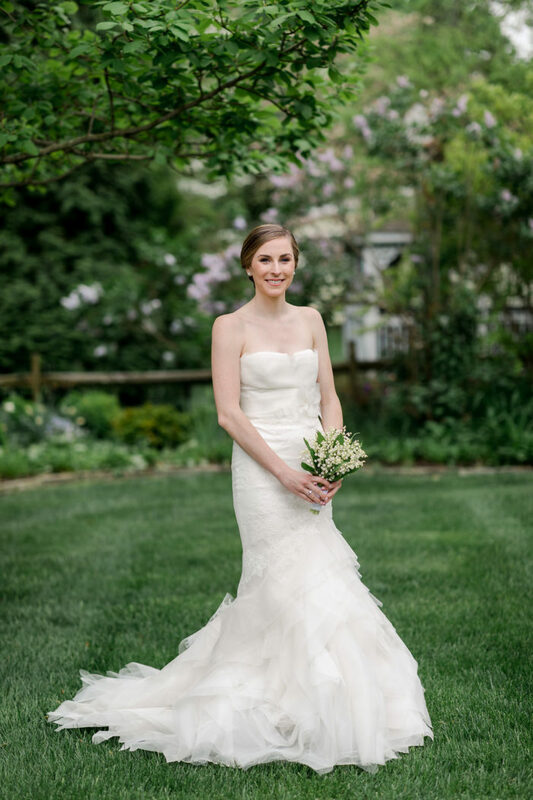 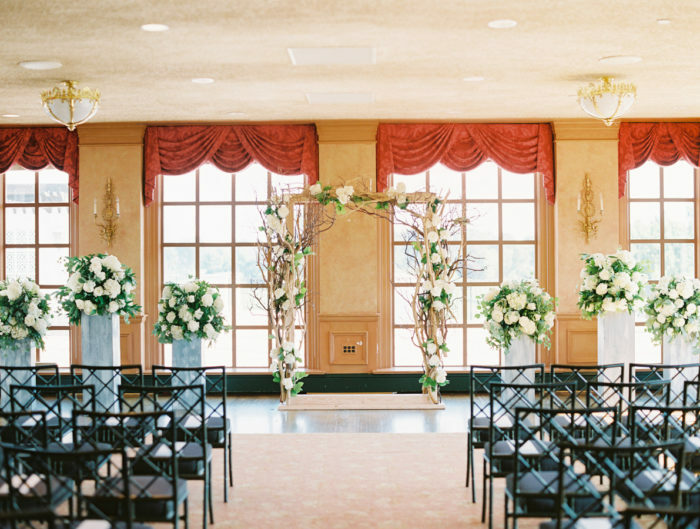 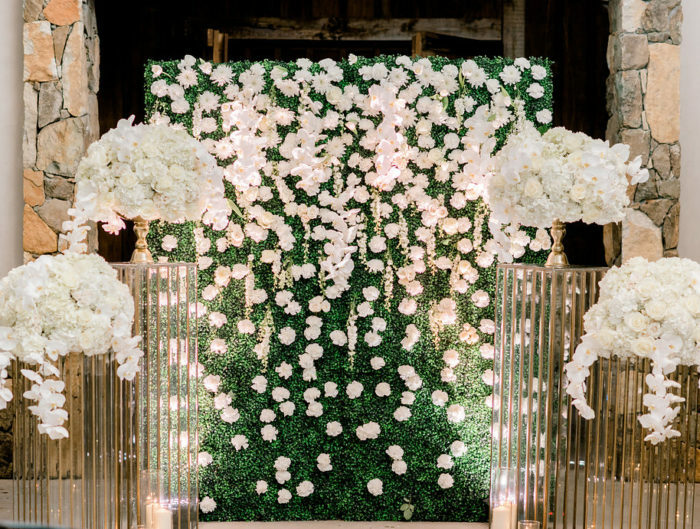 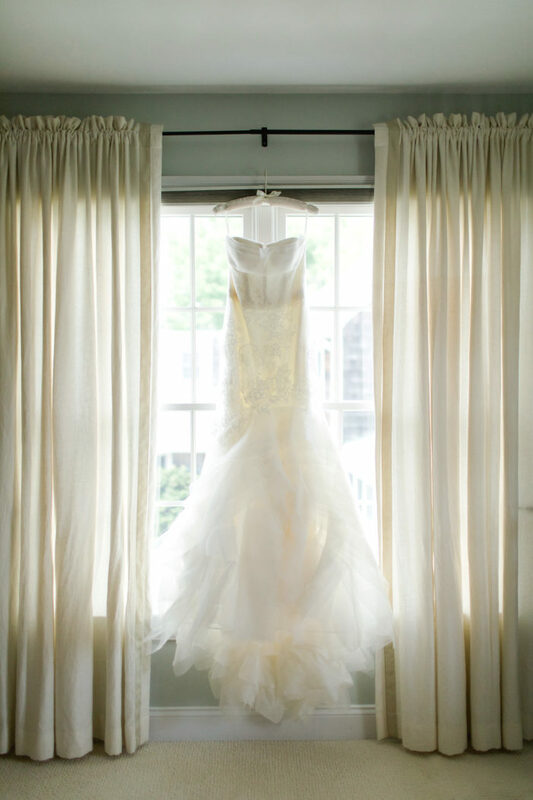 Thank you A. Dominick Events for sharing this lovely Lewes Delaware wedding with us!